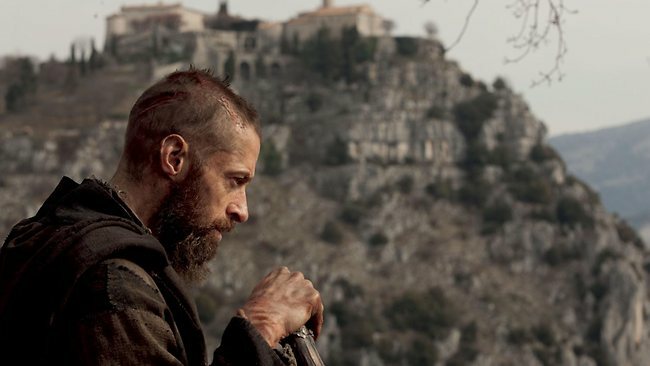 HE may be in the running for a best actor Oscar tomorrow, but Hugh Jackman should not expect a call from producer Cameron Mackintosh about a role in the new Australian stage production of Les Miserables opening next year in Melbourne. The British producer confirmed today his new production of Les Mis, which inspired the Oscar-nominated film, would be re-staged with an all-Australian cast at Melbourne’s Her Majesty’s Theatre from June 2014. But Jackman, an acclaimed stage and film actor who has garnered critical acclaim for his role as Jean Valjean in the Tom Hooper film, will not be considered for the Boublil and Schonberg classic when it returns to Australia, Mackintosh said. “No, Hugh won’t (be cast). There’d be no reason for him to do it; and he’s busy with his other projects,” Mackintosh said of Jackman, who is expected to be pipped for the best actor Oscar by Daniel Day-Lewis (Lincoln). Mackintosh, speaking to The Australian from downtown Los Angeles, said the Australian production would be part of a larger global tour, taking in Canada, America, Japan and South Korea. He expected the production to tour nationally following its Melbourne run. “At the moment, I’m concentrating only on the initial season, but I’m sure it will branch out to other cities,” he said. Les Mis, based on the 1862 Hugo novel about a man’s personal reformation against the backdrop of the French revolution, opened at London’s Barbican in October 1985. It has been playing continuously around the world since. It was first performed in Australia between 1987 and 1991, and again between 1997 and 1999. It remains the world’s longest-running stage production. Mackintosh said the Australian production, to be directed by Laurence Connor and James Powell, would be an opportunity to discover a new wave of local talent. “It’s a chance to find a brilliant cast, like we did when we discovered Anthony Warlow, Marina Prior and Simon Burke,” he said. A casting director, Serena Hill, has been appointed but no decisions on roles has been made. Mackintosh will attend the Oscars, at which Hooper’s film is in the running for best picture, best actor and best supporting actress (Anne Hathaway), among eight nominations. “I am looking forward to a great night, and hopefully we’ll win some more awards, and then I can get back to my day job, which is putting on shows,” he said. Mackintosh said the runaway success of the film, on which he is a producer, had little to do with the decision to broaden the stage production’s scope into the Pacific. Though he did concede the timing of the announcement “couldn’t have been more perfect”.